This tracking would be in addition to Dragonfly’s blacklisting of terms like “human rights,” “student protest,” and “Nobel Prize,” which might normally pull up news about Chinese activist and Nobel laureate Liu Xiaobo. Sources have also told The Intercept that it’s “essentially hardcoded” to replace weather and air pollution results with potentially doctored data from a source in China. Google hasn’t confirmed the existence of Dragonfly, and it’s mostly declined to comment on reports about the project. (It didn’t immediately respond to a request for comment on this latest news.) It’s previously said that it’s only doing “exploratory” work on a search service in China and that it’s “not close to launching a search product” in the country. But these reports have drawn opposition inside and outside the company. Around 1,400 Google employees have allegedly signed a letter demanding more information about the project, which has been shrouded in secrecy and reportedly runs in partnership with a Chinese company. Earlier today, a bipartisan group of House representatives asked Google to answer questions about its plans for a Chinese search app, saying Congress has “a responsibility to ensure that American companies are not perpetuating human rights abuses abroad.” And The Intercept reported yesterday that Google senior research scientist Jack Poulson resigned to protest the decision, saying a total of five employees have left because of Dragonfly. Google pulled out of mainland China in 2010 after discovering a phishing attack targeting human rights activists. 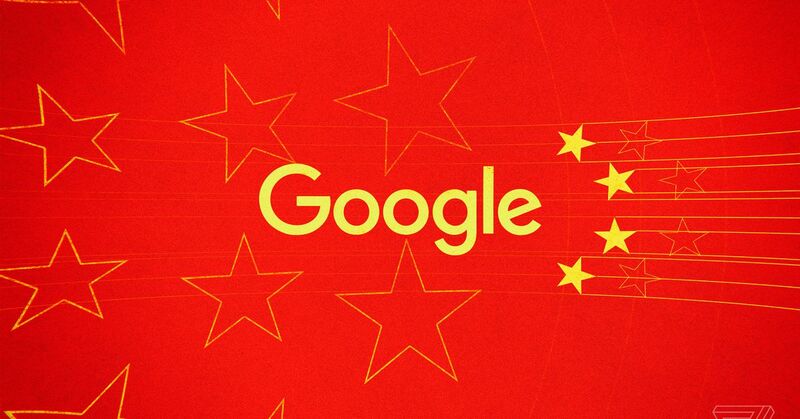 As it’s pointed out in previous statements, it offers apps like Google Translate in China, but search remains blocked — although if Google launches a service that complies with China’s censorship regime, that might change. China’s government has only tightened its reins over the internet since 2010, while expanding a regime of high-tech social control that includes “social credit” scores (which can determine things like citizens’ travel rights) and a sophisticated surveillance apparatus for watching its Muslim minority population in Xinjiang. Even without links to a phone number, searches on Dragonfly wouldn’t be secure. Poulson and others have expressed concern about simply having user data hosted in China, where government agencies could access it. But the reported feature would add yet another layer of control, and signal Google’s willingness to make surveillance easy.